Community dinner to raise awareness about the oppression faced by Uyghur and Rohingya Muslims. 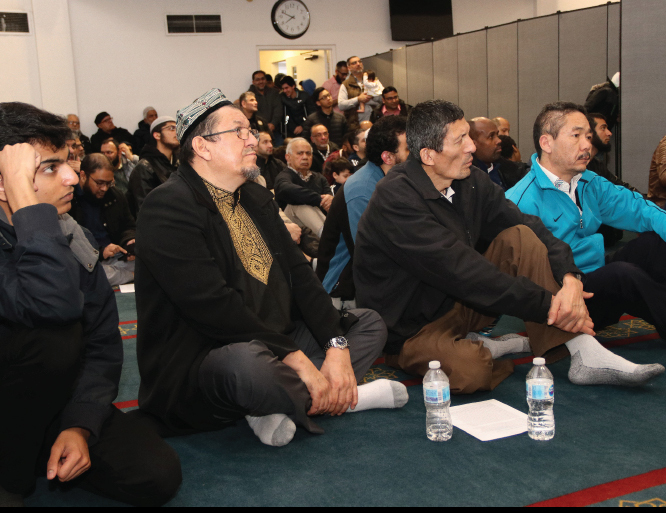 On Sunday January 27th, Richmond Jamea Masjid hosted a community dinner to raise awareness about the oppression faced by Uyghur and Rohingya Muslims. Sister Yasmin Ullah from Burma and Sister Turnisa Matsedik-Qira from East Turkistan spoke about their experiences and shared their knowlege about the issues faced by many muslims who have been oppressed under the current regime in their native countries. - Most children in the refugee camps are under age of 5. Br Usman - past president of BCMA showcasing his archive of the persecution of the Burma Muslims since 1978. - Raise your voice. Write letters to your representatives or call them; let them that you want to see tangible actions by Canada on this issue. What can the Muslims do to protest the blanket malignment of the Islamic Faith in Canada? And [as for all such believers,] no human being can imagine what blissful delights, as yet hidden, await them [in the life to come] as a reward for all that they did. The Prophet said, "The prayer in congregation is twenty five times superior to the prayer offered by person alone."